Duplex Steels have a microstructure that consists of 50-50% or 60-40% of austenite and ferrite. It has various attractive properties like twice the strength as regular austenitic or ferrite stainless steels, better toughness and ductility, corrosion resistance, stress corrosion cracking resistance, and much more. Duplex Steel Seamless Pipes & Tubes are the types of duplex pipes and tubes that don’t have any seam or weld-joint throughout their body and are able to withstand higher temperature, pressure, mechanical stress, and corrosion. 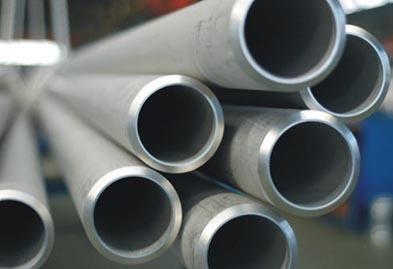 Duplex Steel Welded Pipes & Tubes offer tighter dimensional tolerances and are used where corrosion contamination is of bigger concern than pressure contamination. Methods like eddy current, ultrasonic and pressure testing are used to ensure a consistent weld. Duplex Steel Cold Drawn Pipes & Tubes are prepared by the machine called draw bench where the tube is pulled through a die that is smaller than the tube. Duplex Steel Electropolished Pipes & Tubes are manufactured by an electrochemical process where ID surface smoothness of straight lengths of the tube is refined even further. 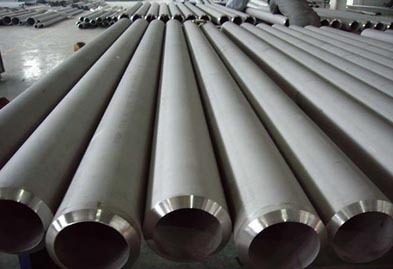 These UNS S32750 / 2205 Duplex Steel pipes and tubes are available Shapes like Round, Square, Rectangular, Hexagonal, Hollow, Oval etc. Contact us today to request a free quote! Jaydeep Steels stocks a wide range of materials and grades. Below are a list of all standard duplex steel pipes and tubes materials and grades we stock. Our experienced team of metal experts will get you the metal you need when you need it. Call us today for your Duplex Steel Pipe & Tube Needs!